Launched a year ago, Philippine President Rodrigo Duterte’s brutal war on drugs has resulted in thousands of deaths, yet the street price of crystal methamphetamine in Manila has fallen and surveys show Filipinos are as anxious as ever about crime. A growing chorus of critics, however, including human rights activists, lawyers and the country’s influential Catholic Church, dispute the authorities’ claims of success. The drug war’s exact death toll is hotly disputed, with critics saying the toll is far above the 5,000 that police have identified as either drug-related killings, or suspects shot dead during police operations. Most victims are small-time users and dealers, while the masterminds behind the lucrative drug trade are largely unknown and at large, say critics of Duterte’s ruthless methods. If the strategy was working the laws of economics suggest the price of crystal meth, the highly addictive drug also known as ‘shabu’, should be rising as less supply hits the streets. But the Philippine Drug Enforcement Agency’s own data suggests shabu has become even cheaper in Manila. In July 2016, a gram of shabu cost 1,200-11,000 pesos ($24-$220), according to agency’s figures. Last month, a gram cost 1,000-15,000 pesos ($20-$300), it said. The wide ranges reflect swings in availability and sharp regional variations. Officials say Manila’s street prices are at the lowest end of the range. And that has come down, albeit by just a few dollars. “If prices have fallen, it’s an indication that enforcement actions have not been effective,” said Gloria Lai of the International Drug Policy Consortium, a global network of non-governmental groups focused on narcotics. The problem is, according to Derrick Carreon, the Philippine Drug Enforcement Agency’s spokesman, that while nine domestic drug labs have been busted, shabu smuggled in from overseas has filled the market gap. “Demand needs to be addressed because there are still drug smugglers,” Carreon said. While smuggled shabu has kept the price down in the capital, the official data shows the price has gone up in the already substantially more expensive far-flung regions, like the insurgency-racked southern island of Mindanao. Duterte declared martial law in Mindanao last month after militants inspired by Islamic State stormed Marawi City, and the army’s failure to retake the city quickly has dented the president’s image as a law-and-order president. Surveys by Social Weather Stations (SWS), a leading Manila pollster, reveal a public broadly supportive of Duterte’s anti-drug campaign, but troubled by its methods and dubious about its effectiveness. SWS surveys in each of the first three quarters of Duterte’s rule showed a “very high satisfaction” with the anti-drug campaign, said Leo Laroza, a senior SWS researcher. In the most recent survey, published on April, 92 percent said it was important that drug suspects be captured alive. Respondents also reported a 6.3 percent rise in street robberies and break-ins. More than half of those polled said they were afraid to venture out at night, a proportion that had barely changed since the drug war began, said Laroza. Public and police perceptions of crime levels seem to diverge. 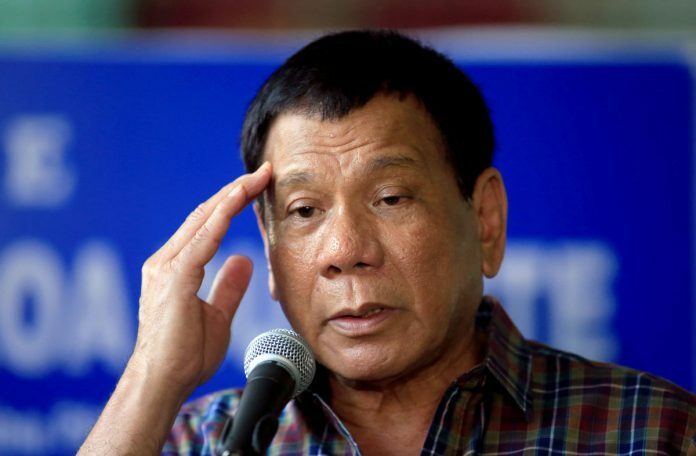 The number of crimes committed in the first nine months of Duterte’s rule has dropped by 30 percent, according to police statistics cited by the president’s communications team. Albayalde, the capital’s police chief, said people, particularly in Manila, felt safer now, especially due to a crackdown on drug users who he said commit most of the crime. In the first 11 months of Duterte’s rule, police say 3,155 suspects were shot dead in anti-drug operations. Critics maintain that many of them were summarily executed. Police say they have investigated a further 2,000 drug-related killings, and have yet to identify a motive in at least another 7,000 murders and homicides. Human rights monitors believe many of these victims were killed by undercover police or their paid vigilantes, a charge the police deny. For residents of Navotas fishport, a warren of shacks near Manila’s docks, the body count is too high. There were nine killings in a single night in Navotas earlier this month, according to local media. In mid-May, said resident Mary Joy Royo, a dozen gunmen arrived on motorbikes and abducted her mother and stepfather. Their corpses were found later with execution-style gunshots to the head and torso. As the death toll has risen, so has domestic and international outrage. Police operations were halted for much of February after it emerged that anti-drug police abducted and killed a South Korean businessman last year, but the outcry over the rising body count has rarely slowed the killing or led to prosecutions. The Philippine Commission on Human Rights is investigating 680 drug-war killings. Police chief Albayalde says that the force’s Internal Affairs Service (IAS) investigates all allegations of abuse by his officers. IAS told Reuters it had investigated 1,912 drug-related cases and recommended 159 officers for dismissal due to misconduct during anti-drug operations, although it didn’t know whether any had yet been dismissed. Earlier this month, 19 police officers charged with murdering two drug suspects in their jail cell in November were released on bail and now face trial for the lesser crime of homicide. Duterte, who has repeatedly urged police to kill drug suspects, had already vowed to pardon the officers if they were convicted.